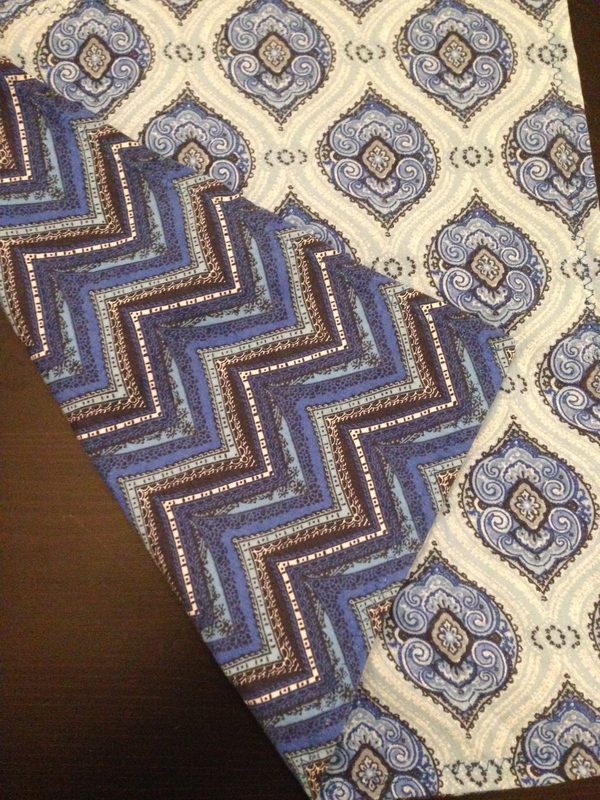 About a year ago, I decided I’d like to make my hubby some pj pants. I hadn’t used my sewing machine much at all at this point, so I chose an easier project first – a plastic bag holder for my kitchen. It was a success, and came out beautifully! Then I took a big break from sewing…pretty much until after we moved into our new house. Once I got my craft room all set up, I finally got back into sewing and threw myself into a million baby projects. Baby blankets, baby burp cloths, more baby blankets and baby burp cloths! 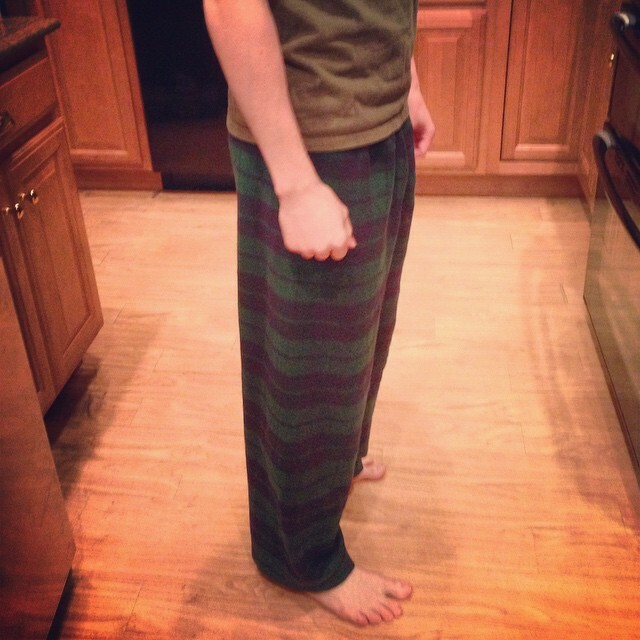 Before I knew it, about a year had passed until I bought that pattern and cloth for those pj pants. 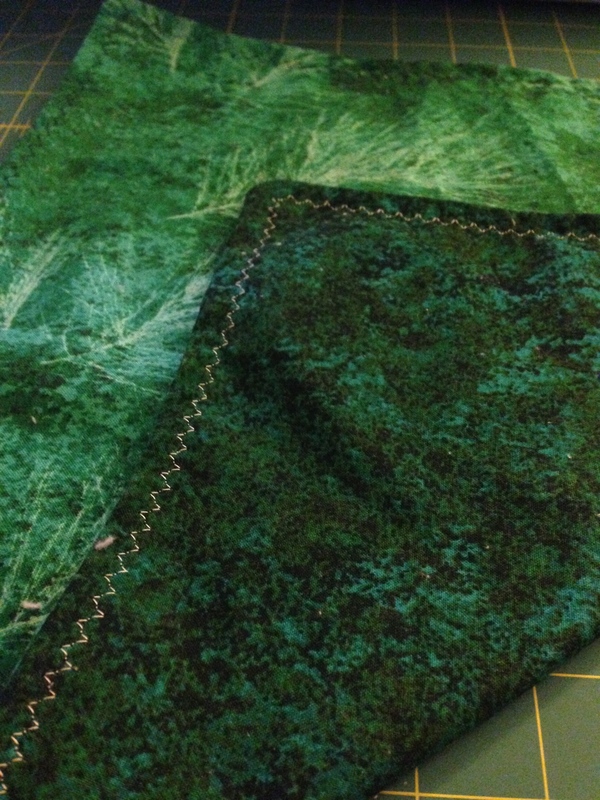 Every time I looked at the pattern I would get scared about messing up – I kept putting it off! I’m proud to say that a few days ago I picked this project back up and I completed it this evening! 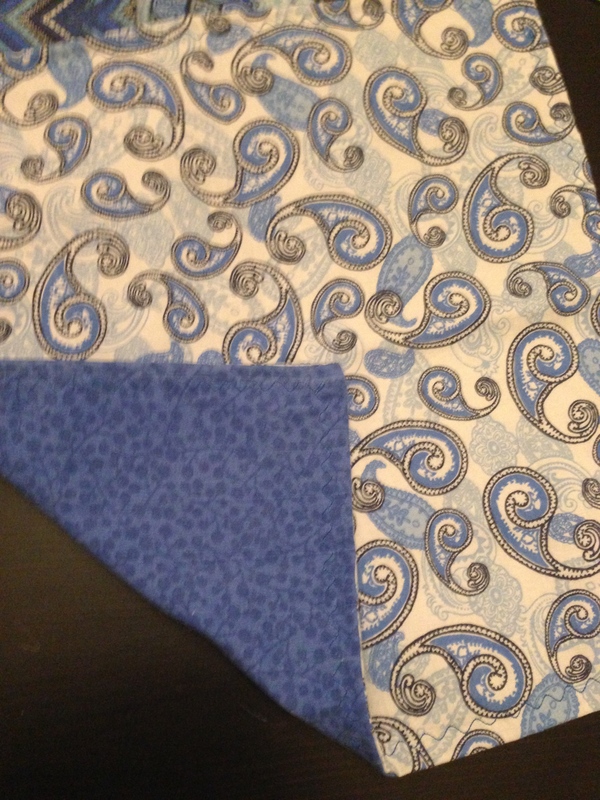 Earlier this weekend I cut out the pattern, ironed it, and washed my fabric. 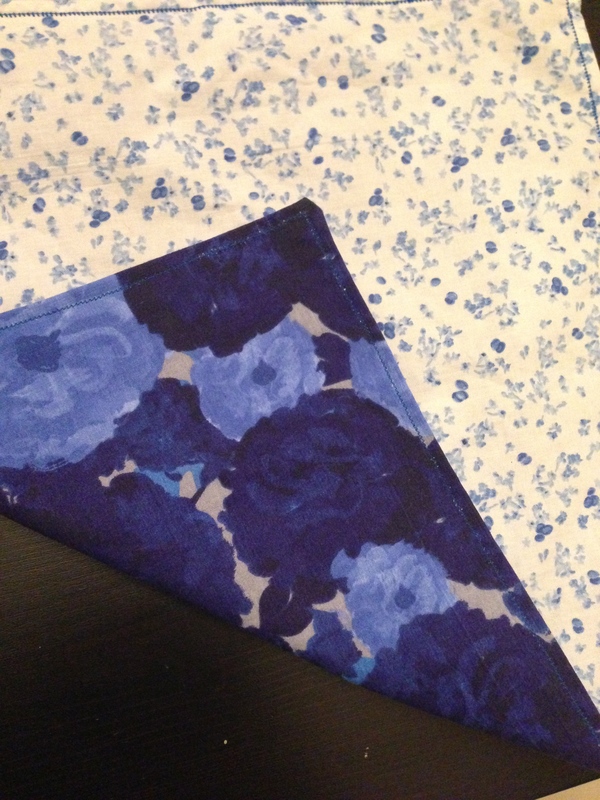 Today I ironed my fabric, cut out what I needed, and got to work! It actually was no where near as difficult as I thought it would be. I followed the step by step instructions, and voila! Pants! Tags: crafts, fabric, husband, sewing | Permalink. 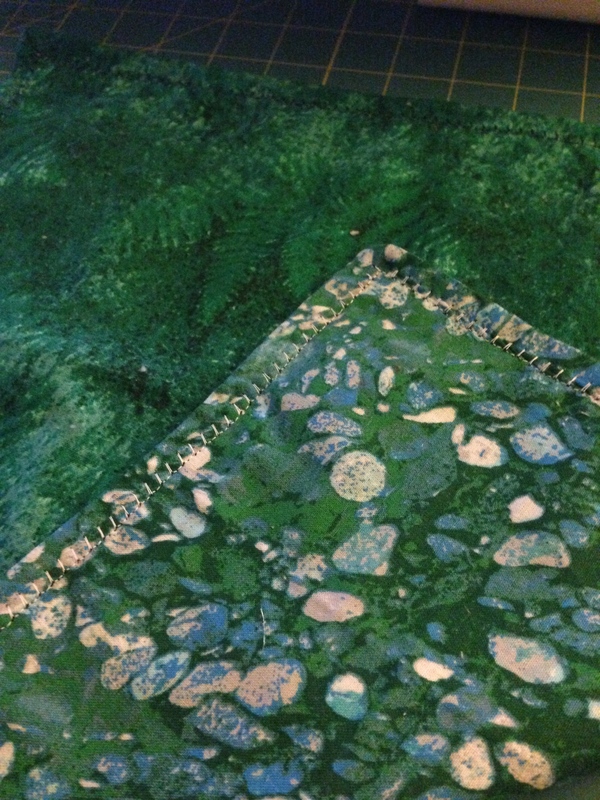 So I finished the 2 green napkins I had pinned up the other night. Also, here are the blue napkins I promised I would share. Cloth napkins are nicer to use than paper towels or paper napkins, they look cooler, and they’re more environmentally friendly. Win, win, win! Tags: crafts, fabric, napkins, sewing | Permalink.